← Why do cats always look so funny when they’re wet? Thought you might like to see this photo that I took on Friday. Yes, it was another hard day on a boat, but I was kept entertained by the appearance of a few little fluffy clouds. 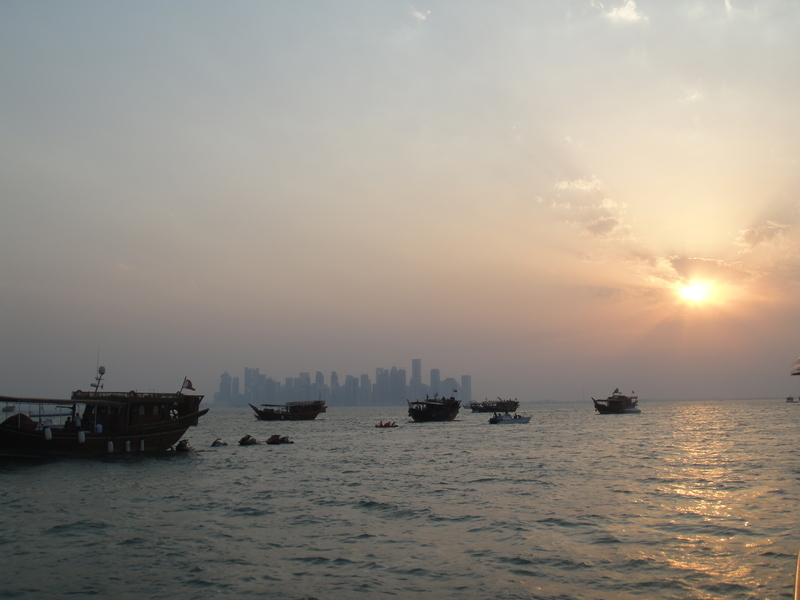 Doesn’t Doha look strangely peaceful from the sea?